We received a number of these titles for review purposes. As always, all opinions are honest and solely my our own. This post also contains affiliate links. Do you have a movie lover at home? JustaBXgirl loves grabbing her personal DVD player and her DVD case and bingeing old school, one DVD after the other. Yes, she also has access to Netflix, Amazon and, Youtube but the ability to hold the movie in her hand is something that she has grown to love. I love watching when she curls up on the couch and puts her headphones on to enter into her own zone. Sometimes she’s willing to share her space with me and we curl up together to watch the movie. She also loves to bring the portable DVD player with her on road trips. On those, I limit how many titles she can bring since her collection is nearing 100. With Spring Break quickly approaching I wanted to share a few fun titles that your littles might be interested in bringing along on your travels. Again, I know we live in a digital age but allowing them the opportunity to be in charge of the DVD player and what they watch gives them a sense of authority. Also, you don’t have to worry about losing service and running out of storage from trying to download their favorite movies. These are also great ideas for adding to Easter Baskets and Spring Break survival kits for those that will be staying local for break. PBS KIDS – 20 Incredible Tales – This two-disc set has over 4 hours of fun, featuring thirteen different PBS series. Talk about something for everyone! This one can keep them busy possibly the entire trip! Scooby-Doo And Curse Of The 13th Ghost – JustaBXgirl’s cousin introduced her to Scooby and the gang a few years ago and she has been a fan since. Anytime they’re n TV or a new movie comes out we need to see it. Special features on the DVD include two vintage Scooby cartoons, To All The Ghouls I’ve Loved Before and Horro-Scope Scoob. Ralph Breaks The Internet – Don’t worry, you can watch this one without seeing the original. I really enjoyed this movie. Since I hadn’t watched the original, I was a little concerned about the friendship between a grown man and child but once I watched it and realize that they are both video game characters and pretty much peers as opposed to an unhealthy, imbalanced relationship I really enjoyed the movie. Luckily, JustaBXgirl didn’t have to do so much mental unpacking and just enjoyed it as the fun film it is from the start. Wild Kratts – The Briny Blue Sea – We are HUGE Wild Kratts fans. I can admit that I have learned SOOO much about animals because JustaBXgirl loves this show so much. Whenever a new DVD comes out we try to add it to our collection and we are impatiently waiting for this one to be released this year. Ready, Jet, Go – Chasing The Sun – This will be out right in time for Spring Break. Even if you’re not going anywhere your little can travel with Jet and the gang through the solar system. This DVD will have eight episodes of the show. That should keep your littles on an interplanetary adventure for a while. Nancy Drew And The Hidden Staircase – I’m so excited that this is out now! Just the other day, JustaBXgirl was telling me she wished that she could watch it again. And voila! Now she can. I can’t wait to get to the library so that we can read some Nancy Drew books as part of our morning commute. I’m sure though that JustaBXgirl will be asking why Nancy doesn’t ride a skateboard in the books. If you haven’t read my review on the movie yet, what are you waiting for? It’s right here. 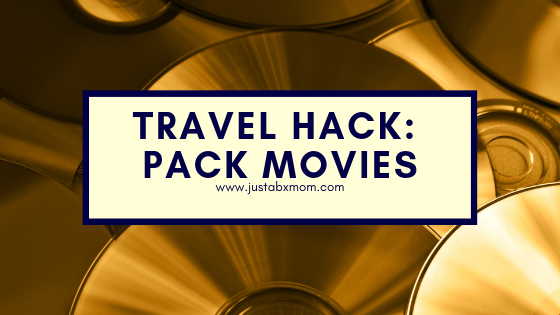 These should keep you and your little busy for a while whether or not you’re heading out of town for Spring Break. They also make wonderful options for a family movie night. Yes! I’m telling you some of these shows aren’t just for littles. Will Goosebumps 2 Haunted Halloween Give You Goosebumps?